The first six months of Bashar Assad's tenure as president of Syria witnessed a dramatic transformation in the content and style of public discourse about the economic and political future of the country. After thirty years of the late Hafez Assad's stultifying authoritarian rule, few expected that Syria's once-vibrant political culture would begin to rematerialize so suddenly. At first, the year 2001 seemed poised to usher in sweeping new political reforms. The publication last month of a surprisingly candid declaration of principles by over 1,000 Syrian intellectuals, the announcement of two new political parties and the establishment of Syria's first privately-owned newspaper appeared to herald the dawn of a new post-authoritarian political order. Suddenly, however, it all came crashing down. The savage beating of a prominent liberal reformer late last month, followed by the filing of criminal charges against the leader of Syria's nascent parliamentary opposition bloc and a series of unprecedented warnings from the government have cast a pale of darkness over the country. Whether this sudden shift represents an about face by President Assad or the resurgent influence of the regime's security barons remains to be seen, but the permissible limits of political dissent have been clearly redrawn for the time being. Shortly after Assad's ascension as president, a loose network of Syrian intellectuals and businessmen began holding a series of informal gatherings throughout the country to discuss steps to promote political reforms. These civil society activists, who eventually organized under the name Committees for the Revival of Civil Society (Lijan Ihya al-Mujtama' al-Madani) have spearheaded ambitious initiatives to demand greater freedom from the new Syrian leader. However, against the advice of "old guard" officials in the Syrian regime, Assad soon abandoned such attempts to suppress the movement in favor of a strategy to contain and guide its activities. This was evident in November with the release of over 600 political prisoners, the declaration of a general amnesty, and the closure of the notorious Mazzeh prison.3 Afterwards, Assad met with several reformers affiliated with the committees and informed them that they were welcome to criticize the state on economic matters so long as they did so exclusively in the state-run Syrian press. In addition, many dissidents who had been fired from their jobs in state-run media and educational institutions were reinstated. Meanwhile, the Assad regime began steps to "re-energize" the so-called National Progressive Front (NPF), a coalition of leftist political parties aligned with the ruling Ba'ath party that was established by the late Hafez Assad in 1972. Rather than risk permitting the establishment of political parties outside of the state's control, which hard-line members of Syria's security apparatus staunchly opposed, Assad began promoting the transformation of the NPF into a state-moderated system of quasi-independent parties that would give Syria the trappings of democracy while containing the political influence of the country's resurgent civil society. The regime announced that the Ba'ath party's coalition allies in the NPF would be allowed to establish branch offices, openly recruit new members, and publish their own newspapers. 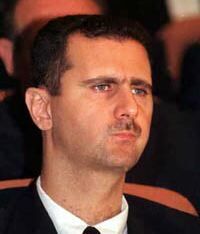 In an effort to expand the ruling party's base of support, Assad also declared that the leadership of the Ba'ath party would henceforth be freely elected by its membership. However, Syrian officials gave few indications that the establishment of political parties outside the NPF would be permitted. Government reaction to the statement was initially characterized by what observers are calling "positive neutrality." The authorities did not make any effort to censor Arabic newspapers which published the full text of the document, though it was conspicuously ignored by the state-run Syrian media. Those who organized the statement were quick to portray the initiative as an attempt to work with Assad, rather than against him. Michel Kilo, a prominent academic involved in drafting the statement, said that he and his colleagues were "very grateful for the broad-mindedness of the leadership--represented by President Bashar Assad--which dealt with the document positively. "7 In fact, the regime's reaction to the statement was interpreted by many as a green light of sorts--hundreds of additional signatures were added in the days following its initial publication. The founders of the committee deliberately excluded opposition figures who might be considered politically dangerous by the government. 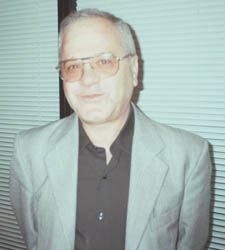 Prominent political figures who were not allowed to participate include Riyad al-Turk, the head of the political bureau of the Syrian Communist Party; Fatih Jamus, a leader of the Communist Action Party who was released from prison last year; and Hasan Abd al-Azim, the head of the National Democratic Alliance. January also witnessed the establishment of two independent political parties which, had they obtained official approved from the government, would have been the first to legally operate since the Ba'athists came to power in March 1963. On January 23, Muhammad Sawwan announced the formation of the Coalition for Democracy and Unity (al-tajammu min ajl al-dimuqratiya wa al-wahda), which is comprised mainly of leftist and Arab nationalist figures. Sawwan was formerly a member of the Arab Socialist Union, one of the coalition partners of the NPF. Other prominent members of the CDU include Gen. Maen al-Shishakli (ret. ), former MP Adel Jamous, former MP Ibrahim Abdul Hamid, and Adel Ja'adani, a former cabinet minister. Sawwan recently said that the CDU aims to "strengthen national unity through democratic dialogue." Two days later, parliament member Riyad al-Sayf announced the formation of the Movement for Social Peace (Harakat al-Silm al-Ijtima'i). In November, Sayf made waves when he addressed parliament and criticized the "political and economic monopolies" that have silenced or driven into exile Syria's brightest intellectuals and most gifted entrepreneurs. Sayf, a middle-aged Damascus businessman, attracted over twenty other MP's to his campaign to eliminate restrictions on commercial enterprise and freedom of expression. Members of this so-called "Damascus bloc" included Munzer Mousilli, a former advisor to President Amin al-Hafez who caused a stir last summer when he questioned the assembly's decision to amend Article 68 of the constitution, which requires that the president be at least 40 year old (Bashar was only 34). On January 29, the Syrian regime suddenly broke its public silence with a fierce diatribe against the opposition by Syrian Information Minister Adnan Omran. Speaking before a group of Arab and foreign journalists in Damascus, Omran declared that civil society is an "American term" which had recently been given "additional meanings" by "groups that seek to become (political) parties," an apparent reference to Sayf. Less than twenty-four hours after Omran's warning, Syrian novelist Nabil Suleiman was attacked by two unidentified assailants in the coastal city of Latakia, a stronghold of minority Alawite support for the regime. Suleiman, a prominent organizer of the civil society committees, was hospitalized with cuts on his head, face, and chest. Meanwhile, the regime sent a more explicit warning to Riyad al-Sayf during his Social Peace Movement's first "national dialogue forum" on January 31. After the meeting convened at his home in Sehnaya, 10 miles south of Damascus, Sayf read out loud a document of principles which departed from the ruling Ba'ath party's pan-Arab ideology by stressing the uniquely Syrian identity of the country. Several members of the ruling Ba'ath party who were in attendance interrupted Sayf and accused him of being a "foreign agent" and "anti-nationalist." On February 16, Al-Hayat reported that, in an effort to "counter" the intellectuals, the ruling Ba'ath party sent 17 Regional Command Council members to "all the governorates and four universities to explain the political situation . . . and the intellectuals' activities within the framework of the so-called civil society. 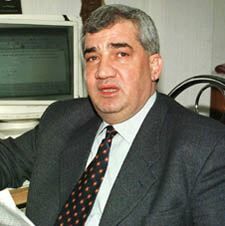 "15 A reliable source in Syria later told MEIB that this campaign is headed by Syrian Vice President Abdul Halim Khaddam. 1 Al-Muharrir (Beirut), 9 September 2000. 2 "Syrian Intellectuals Call for Political Reforms," Middle East Intelligence Bulletin, October 2000. 3 "Bashar Breaks with the Past . . . Gradually," Middle East Intelligence Bulletin, December 2000. 4 Al-Safir (Beirut), 11 January 2001. 5 Al-Hayat (London), 19 January 2001. 6 Al-Hayat (London), 14 January 2001. 7 Al-Hayat (London), 14 January 2001. 8 Al-Hayat (London), 26 January 2001. 9 Al-Hayat (London), 26 January 2001. 10 Al-Hayat (London), 30 January 2001. 11 Al-Hayat (London), 31 January 2001. 12 Al-Hayat (London), 31 January 2001. 13 Al-Quds Al-Arabi (London), 31 January 2001. 14 Al-Sharq Al-Awsat (London), 9 February 2001. 15 Al-Hayat (London), 16 February 2001. 16 Al-Jazeera Satellite TV (Doha), 18 February 2001. 17 Syrian Arab TV (Damascus), 18 February 2001, 20 February 2001. "Bashar Breaks with the Past . . . Gradually," Middle East Intelligence Bulletin, December 2000. "Syrian Intellectuals Call for Political Reforms," Middle East Intelligence Bulletin, October 2000.